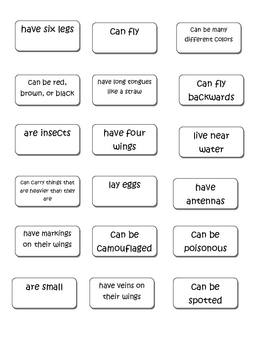 This item is great for a mini-study of insects. 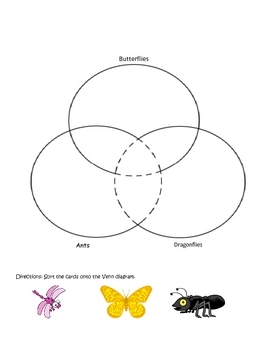 It focuses on butterflies, dragonflies, and ants. Students read books about the insects, then use the sorting cards and the venn diagram to sort the characteristics of each insect.